If you enjoyed Jon Vogel's article in the January 2018 Newsletter about the 80th Tollgate Island Classic, then you can download Jon Vogel's full article here. I encourage everyone to read the draft strategy and send me your comments. However, the strategy is 249 pages long. To assist members in looking up the sections that relate to recreational fishing, I have attached a 19 page summary: Overview of sections related to fishing in the Draft ACT Aquatic and Riparian Conservation Strategy and Action Plans (pdf). The summary is a table setting out the page numbers, topics, and a summary of the contents of that topic. In some cases, the contents were simply copied and pasted (including any guidelines that related to recreational fishing). The summaries covering pages 84 to 103 simply copy and paste the threat mitigation and management guidance column of Table 7.4. That table also covers a description of the habitat and its condition, threatened species and major threats of each of the river sections covered by the draft plan. You can find out more information at the ACT Government's Have Your Say webpage on the Aquatic and Riparian Conservation Strategy. Submissions close on 11 March 2018. If there is sufficient feedback on the draft plan from members, then I can start drafting a response on behalf of the Club. As the draft plan is a 249 page document, I will probably need at least two weeks to write a submission on behalf of the Club, so I would need everyone's feedback by Friday, 23 February 2018. I'll then look at whether we have enough feedback from the members to draft a submission. This article aims to provide our members with a summary of the available information about the Koi Herpes Virus in plain English. 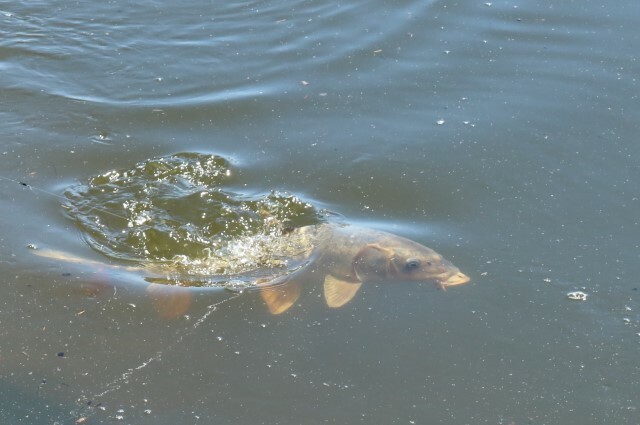 If you were not at our May General Meeting, the members voted in favour of the Club supporting the release of the Koi Herpes Virus (subject to the Government adequately funding the clean-up of waterways of dead and dying Carp, habitat restoration and restocking of native fish). This article will hopefully reassure members about any concerns they may have about the safety of the Koi Herpes virus. To all our members, supporters and sponsors, the Canberra Fishermans Club would like to wish you all a very Merry Christmas and a Happy and Safe New Year. Hoping you get to spend quality time with your family and loved ones as well manage to wet a line and catch some fish. 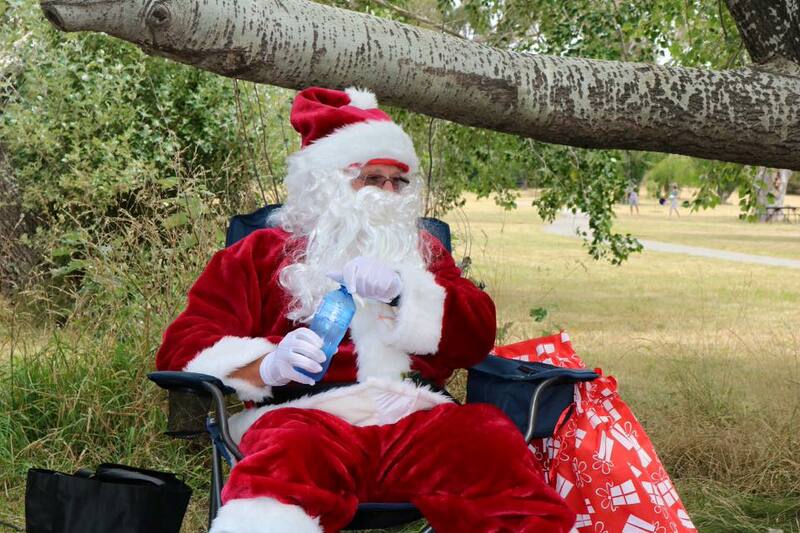 And remember stay well hydrated as Santa is during the hot days ahead. Congratulations to the Botany Bay Sportsfishing Club for winning the St George Trophy aka Burrinjuck Bell at this year's 41st ANSA Burrinjuck Convention. We wish to thank Tackle World Canberra and all our sponsors for their fantastic support which made this event possible and a success. Team Canberra Fishos proudly represented the Canberra Fisherman's Club at the 22nd Gold Coast Flathead Classic held on 30 September - 3 October 2015. This year, the Gold Coast Flathead Classic was attended by 551 competitors making up 215 teams. For Team Captain Chris Head, this was his fourth time in attending this tournament while fellow team mates Anthony Heiser and Daniel McNeice fished the event for the first time. Despite being 1150 km north of their usual stomping grounds, Team Canberra Fishos caught and released 40 fish to come home with a Top 20 finish. The members have now decided on the dates and locations for the next 12 outings for the 2017 - 2018 fishing year. Once again we tried to provide a balance of freshwater (both trout and natives) and saltwater outings to cater for everyone's tastes. So put the dates in your diary and make sure you put your names down at the general meetings early to ensure a spot for the outings you wish to attend. Also members will be able to register for an outing again shortly through the website by logging into the members area. Our monthly outings are targeted at the more social side of fishing, with members often sharing accommodation and teaming up to help each other find fish. Whether freshwater or salt, land based or on a boat, there's usually someone to share a day's fishing with. Fish caught throughout the year are eligible for our annual awards, allowing those with a competitive bent to fish when it suits them most. 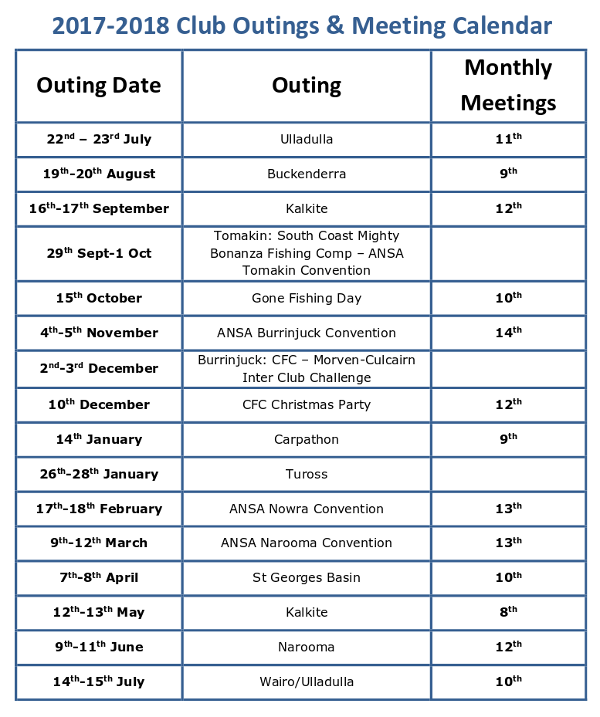 Listed below are our outing for the fishing year - Members have access to more information about outings, so come along to one of our general meetings to find out more.